Digital photos are the standard these days. 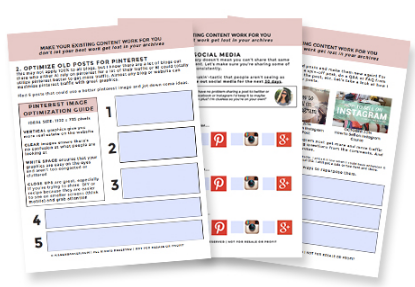 How many people actually print out their photos? Not many. I know I hoard photos on my iPhone and the thought of losing them if my phone or computer malfunction or get lost makes my stomach turn. That’s why I’m going to share with you how I backup photos so that they’re safe in case of an emergency. My husband recently lost his iPhone. Let’s not even go into the extra cost of getting a new phone through insurance (luckily we had phone insurance which I usually cancel right away!) Because he’s not tech savvy at all and didn’t know to back anything up, we lost close to a years worth of photos and videos from everyday life, vacations, etc. This includes most of the (very few) photos in existence of me and my son because my husband was always the one to take those. Truthfully, I’m still heartbroken over it. Please don’t let it happen to you! Let me add a disclaimer: I use an iPhone and a MacBook Air so the screenshots and instructions are specific to these devices. The methods I talk about can be adapted to whatever types of devices you’re using, the screen shots just might not match exactly what you’ll be looking at on your screens. First let me show you what I use to backup photos then I will show you my methods and routine for actually doing it. This post contains affiliate/referral links that may earn me a small commission. You’re not required to click or purchase anything. These are all products or services I genuinely recommend. Thank you for your support! If you’re unfamiliar with Dropbox, it’s time to get excited! Once you download Dropbox, any file or folder you move into your Dropbox folder will upload to their servers and accessible on their website (in your account) and on any other device you have Dropbox installed on. Truthfully, I save almost all of my files in Dropbox so that I can access them on the go. It makes me feel better knowing they’re safe in case my computer crashes, too. If you don’t already have a Dropbox account you can sign up for a free account which will get you started with 2GB of storage plus an additional 500MB for using my referral link right here. I’ve been a Dropbox subscriber since 2012 and have never looked back. To be honest 2GB isn’t going to hold that much if you’re storing photos or videos, but it’s enough to get you started so you can decide if you like it or not. I’ll go more into detail on exactly how I use Dropbox in a minute. Why don’t I just back up to the hard drive? Because I had one fail on me several years ago. I still have it because I’ve been meaning to take it to a pro to see if they can extract anything. I was devastated to have lost years of photos and files (still am!) so I always back up to two different places to play it safe. That’s it! Those are the two places I back up my photos and I’ve been using this system for quite a while. It’s something that gives me total peace of mind. If you’re an apple user you can also use iCloud, but for some reason it confuses me so I’ve never paid it much attention. I can’t be the only one, can I? I don’t know about you, but I use my phone for 99% of my photo taking these days. I’m sure most of you do the same. I have a camera I will very occasionally use, but the main source of photos and video in my life is my phone so let’s start there! 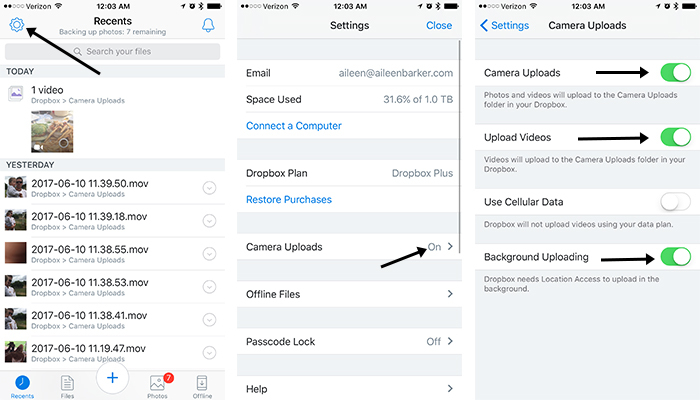 Once you’re signed up for Dropbox you can download the app on your phone and turn on “Camera Uploads”. Enabling Camera and Video upload will automatically upload any photos or video you’ve taken once you’re connected to WiFi. Note: You can turn on “Use Cellular Data” to upload on the go, but if you don’t have an unlimited data plan it will probably cost you way more than it’s worth. But it’s an option if you need it. See the graphic below to show you how to turn on Camera Uploads on an iPhone. If you’re on an android based phone it may be different, but this should give you an idea of how to get to these settings. Once I turn on Camera Uploads, all of my photos get uploaded to the “Camera Upload” folder in Dropbox which syncs to my computer as well. About once a month I will go in, delete any photos or videos I don’t need. And when I delete any photos or videos I don’t need, I delete quite a few. Like most of them. I would say on the average month I take between 400-600 photos and videos. I’m not kidding. I’m a mother. 90% of them are of my kid, I can’t help it. But my goal is always to only have around 100-150 photos and a reasonable number of videos saved for each month. Why? Because I want to look back at the best photos and memories rather than spending hours shuffling through several hundred photos and hours of video. Obviously I make exceptions for any months that have holidays or vacations, etc. As you can see March has 444 photos and I need to go back through them, but we went to Disneyland and had a birthday in the family so it’s going to naturally have more photos. I just try to keep the best of the best and discard the rest. Once I’ve curated the photos then I move them into designated folders within Dropbox. In the main Dropbox folder I have a “Photos” folder and a “Videos” folder. When you click on those you will see folders by years. 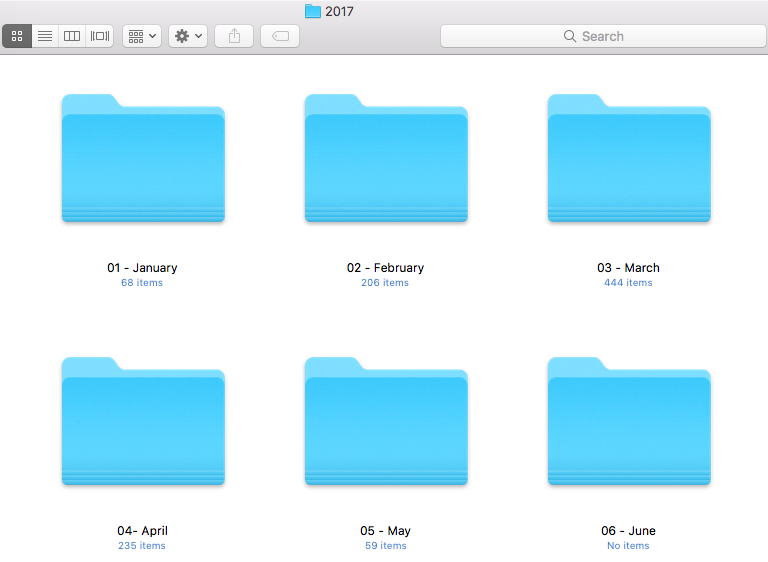 When you click on a year, you’ll see folders by month and within those monthly folders is where I move my photos and videos from the Camera Uploads folder. So once I move all my photos into their designated folders I’m pretty much good to go. They’re now accessible on the Dropbox website and any device you have dropbox installed on! It sounds like a lot, but once you’re caught up you’re really only doing this one month at a time so it’s not bad at all. Once I have everything backed up to Dropbox, I then focus on copying those photos over to my external hard drive. Backing them up in several places makes me feel so much better. In my external hard drive I have folders for Videos and Photos and then Year based folders within those, pretty much identical to how it’s set up in Dropbox. 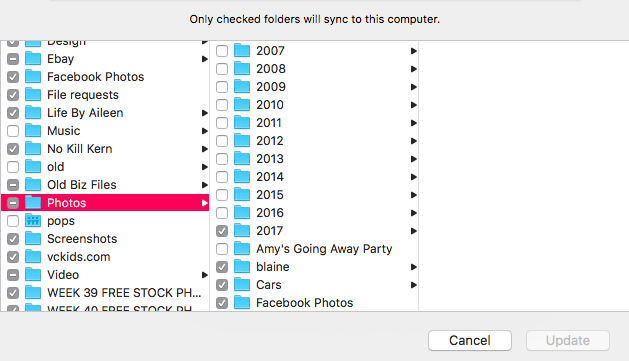 To move copies over to my external hard drive I simply highlight the folders I want in Dropbox, for example I could highlight May 2017 and June 2017, right click and select “copy” then I move over to my external hard drive and paste them there. It always takes a few minutes (or more), especially for videos, depending on how many you’re moving over. And you’re done. Easy right? Honestly, it’s pretty similar to iPhone except I just put the memory card into my computer and move them directly from the card into the Dropbox and External Hard Drive photos, same as above. 🙂 Since it’s pretty much the same I’ll spare you the detailed instructions. Now your photos and videos are backed up in two places, but there are a few other things we need to discuss to make sure this continues to work smoothly. 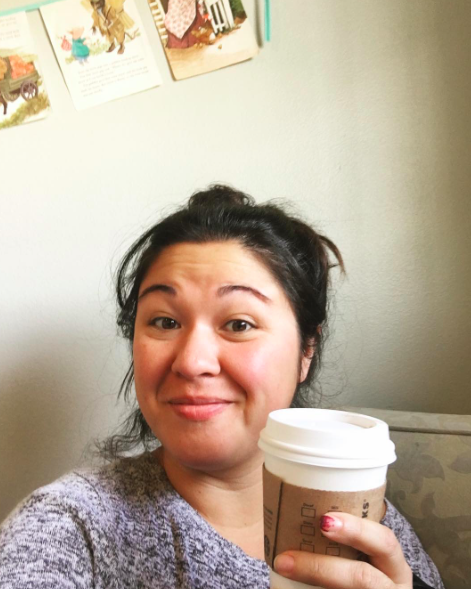 While this post is pretty long, it’s all pretty routine and takes very little work on my part. The thing that takes me the longest is going through the photos and video in my Camera Uploads folder so I can delete some. My goal is to go through and delete a couple times a month and then at the beginning of the next month I’ll go through and actually move the files to their folders in Dropbox and my external hard drive. The only time it takes longer than usual is when I get backlogged because I didn’t get to it for a few months. Or if my computer gets full which I’ll help you with in the next section. What if your computer can’t hold all those photos you have in Dropbox? Selective sync with Dropbox. So helpful. Unfortunately the storage capacity of my MacBook air isn’t too great. So I have to use Selective Sync to remove certain folders from my computer while keeping them backed up in dropbox. The way I do this on my Mac is I click the dropbox icon at the top right of my screen and then click the settings icon and select “Preferences”. 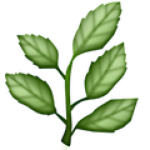 If you don’t have this icon you might have to open up the dropbox app on your computer to do the same thing. Then you’ll click account and then click “Change Settings” next to where it says “Selective sync”. Now here’s the part you need to pay attention to. For any folder you want to remove from your computer (but keep in your dropbox account everywhere else) you will uncheck the box next to it. Notice how in mine the “Photos” folder has a “-“ that means some of the folders within that folder aren’t synced to my computer. Anything with a checkmark is on my computer and anything with a blank box next to it means it’s not synced to my computer. Then when you look inside the “Photos” folder you’ll see I’ve removed most of the folders organized by year from my computer. I just don’t reference them enough and don’t have the space so at the beginning of the next year I remove them from my computer once I’m all caught up on the back ups for the year. One thing that can get confusing when backing up to several places is keeping track of what is backed up where. I actually have a page dedicated to this in my planner. So I went ahead and created a replica spreadsheet in google drive to help you keep track of what files are backed up in the different places you’ve chosen to back up to. But wait, I’m not done yet! My sister was actually the one who told me about Prime Photos just recently! If you have Amazon Prime then you can also download their app and back up photos that way. It gives you unlimited photo storage and up to 5GB of video storage for free with your Prime account! Don’t have Amazon? Try Amazon Prime 30-Day Free Trial for this app (and a bunch of other cool features). In order for your photos to upload, you need to have the app open. That doesn’t bother me because I’ll usually go through my photos from the last few days, delete I don’t need (screenshots, duplicates, blurry photos, etc). Then I’ll open up Prime Photos so it can catch up on any photos or videos that need to be uploaded. It goes pretty quickly. One feature I really love is the “Family Vault” feature. You can add up to 5 family members and select which photos from your uploads you want to add to the family vault! This really makes it easy for us to share photos we take of the family without having to text/email them to each other and save them. That’s pretty much it. I truly haven’t explored it too much, but it seems to be a good way to easily back up your photos and have relatively quick access to them since you can sort by date/location/etc. I actually don’t use Shoebox as much anymore because I’ve been using Prime Photos for the same purpose with the added benefit of family vault, though I do have it installed in my phone still. It’s a great option if you don’t have Amazon Prime. It’s a great way to back up photos from your phone to access later without much thought. Make sure you open the app once in a while when you’re connected to Wifi and they’ll (pretty quickly) upload to your shoebox account. You get an unlimited amount of photo space which is great, but only 15 minutes of video back up. I love that it’s pretty easy to access the photos on the app when they’re no longer on your phone. Alright, guys, that’s about it! 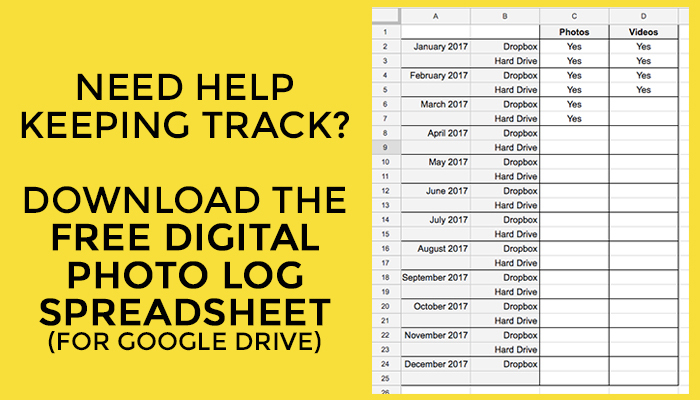 I’ve given you step by step guidance on my exact system for keeping my digital photos safe and backed up. Plus I gave you alternative methods for back up that aren’t quite as intense, but easy to do. Make sure you do something, anything to back up your photos. 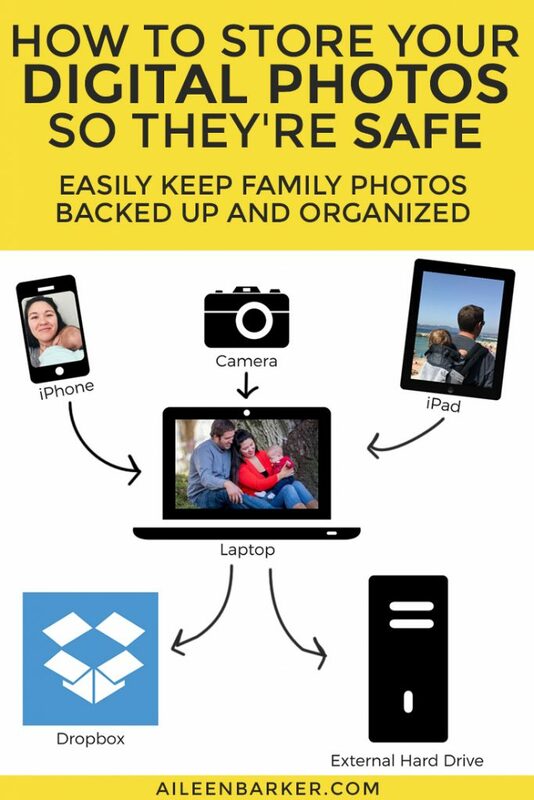 It’s too easy to lose those memories with the risk of devices breaking, getting lost or stolen, etc. Do you think this is overkill? It definitely might be to some people! How do you back up photos? I think Dropbox is the best option.